As the General Chair, I am pleased to welcome all of you to The 24th General Congress of the International Commission for Optics (ICO-24) in Tokyo. In particular, it is our great honor that the opening ceremony will take place in the presence of Their Majesties the Emperor and Empress of Japan. The first Congress of the ICO was held in Delft, the Netherlands, in July 1948, the year after the ICO was established, with the aim of providing a forum to discuss progress in optics and photonics. Since then, the ICO Congress has been held every three years, and gained participation from all over the world including developing countries. The ICO Congress has established itself as one of the most prestigious international conferences in the field of optics and photonics. This year’s Congress is the second to be held in Japan, 34 years since ICO13 was held in Sapporo. It is our great pleasure to host the ICO Congress in our country again. About 850 people from more than 40 countries around the world are participating in ICO-24, and nearly 700 papers will be presented at this congress. To help make ICO-24 a great success, we have received tremendous support from many organizations and private companies. I would like to express my sincere gratitude to those who have supported us. The General Assembly of ICO will also be held during the period of ICO-24, with the attendance of delegates from each territory and academic society. At the General Assembly, various items necessary for the operation of the ICO will be discussed, including an activity report for the past three years, and also the election of the next president. Optics and photonics are interdisciplinary academic fields that cover the fundamental physics on light itself, basic technologies such as generation of light, and a wide variety of applications based on optics and photonics. Over the years, the ICO has contributed to society through application of optics and photonics. Evidence of the contribution is obvious from the fact that many Nobel laureates have accomplished their achievements in the field of optics and photonics. In 2014, Professors Isamu Akasaki, Hiroshi Amano, and Shuji Nakamura were awarded the Nobel Prize in Physics for their invention and fundamental research of the blue LED. 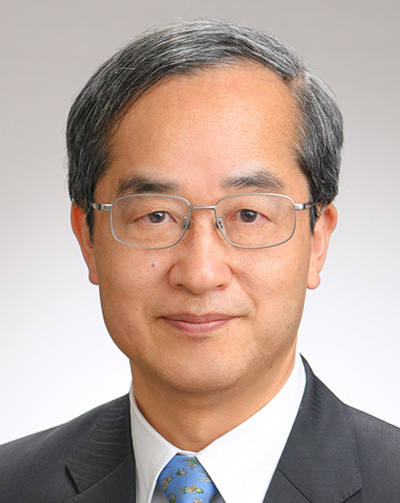 Professor Takaaki Kajita ‘s Nobel Prize in 2015 is awarded for neutrino physics, but the photon detector of course played an important role for his discovery. The main theme of ICO-24 is “Science for Society”. Future society will need advanced information technology such as AI. In order to realize such a society, advanced optical networks and optical information technologies will be necessary. In addition, optics and photonics will contribute greatly to solving issues on global energy, the environment, and also problems related to medicine. I sincerely expect the scientific exchange through the discussion at ICO-24 will be invaluable for all of you. Tokyo is the capital of Japan, and where we are now, Shinjuku, is one of the busiest towns in Tokyo. In the coming years, Tokyo will grow even further, under the leadership of the governor, Yuriko Koike, towards the 2020 Olympic Games. On behalf of ICO-24, I hope everyone will have an exciting and fascinating time at this general meeting. Please take your time to enjoy our Japanese culture, delicious cuisine, beautiful nature, and unreserved hospitality.